If you see this on the road, please do something! Move her in the direction she is heading. Female Eastern Box Turtles, as well as other turtles will soon be on their journey to lay their eggs. They have been doing this their whole life. 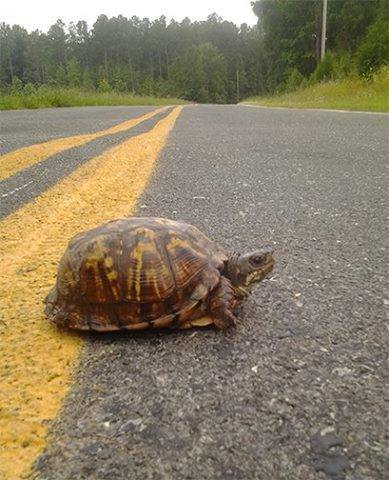 Help them cross by moving them carefully off the road into the direction they are headed.